Rick's Pocono Blog: Arrowhead Lakes Bake Sale and More! 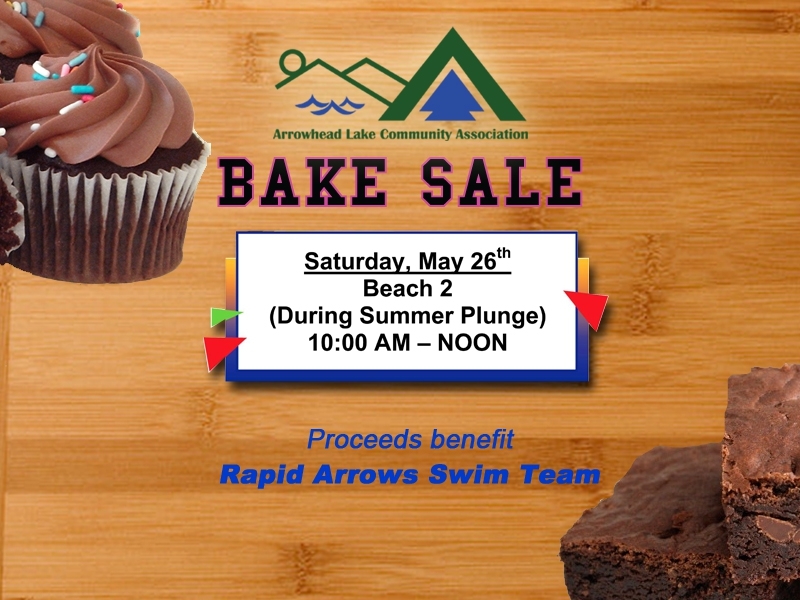 Arrowhead Lakes Community Association is holding a Bake Sale in Arrowhead Lakes. All proceeds for the Delicious Festival go toward Rapid Arrow Swim Team. Come down to Beach 2 in Arrowhead Lakes and contribute with great food to a great cause. Here are some other Fun Events coming soon in The Family Oriented Arrowhead Lakes Community! - Memorial Day Campfire at Beach 2 in Arrowhead Lakes Community. Music/ Food Stories. Celebrate Memorial Day in Arrowhead Lakes around the campfire, and enjoying yourself with family and friends in the Poconos! May 25th, 2012 7 PM to 11 PM. - The opening of the Choctaw and Island Pools in Arrowhead Lakes takes place on May 26th, 2012. The pools will be open for Arrowhead Lake Residents for weekends only. 11 AM to 7 PM. - Sign ups at Arrowhead Lakes for the Golf Tournament begin on May 19th, 2012. The Golf Tournament itself will be held July 13th 2012. Sign up at The Member Service Building.